In September, we reported that Johnny Depp was set to star in a movie about Detective Russell Poole, the Los Angeles cop who has spent years trying to prove that there was some connection between the LAPD, various gangs, Suge Knight, and the murders of both Tupac Shakur and Biggie Smalls. Poole’s superiors shut down his questioning, so he quit the LAPD and continued investigating on his own until his death in 2015. Lincoln Lawyer director Brad Furman is attached to direct this film, which will either be called Labyrinth or LAbyrinth (depending on how fancy the production company feels when it’s time to design the posters). 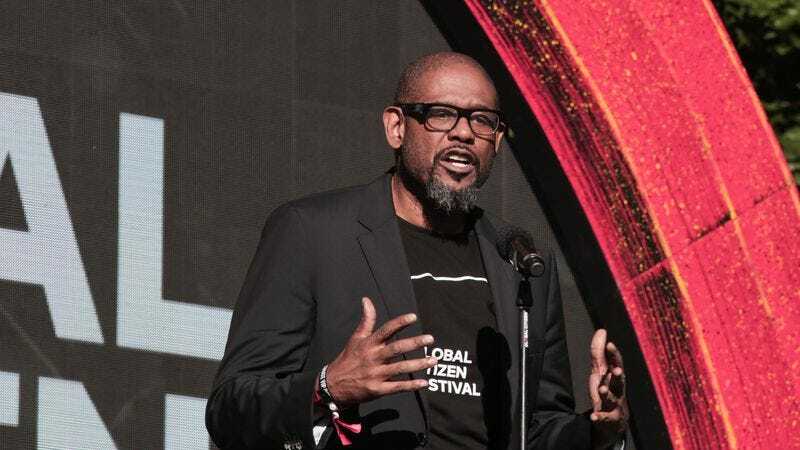 However, even a superhero like Johnny Depp can’t solve these infamous murders all by himself, so Forest Whitaker has signed on to star alongside him. With Depp playing Poole, Whitaker will play a journalist who teams up with him to help solve the case, and both men will have “a reason to seek redemption in an effort that sets them against the cops.” That’s according to Deadline, which notes that the film is based on Randall Sullivan’s concisely titled book LAbyrinth: A Detective Investigates The Murders Of Tupac Shakur And Notorious B.I.G., The Implication Of Death Row Records’ Suge Knight, And The Origins Of The Los Angeles Police Scandal.